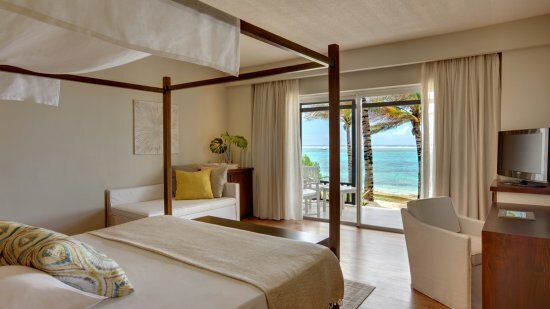 This trendy 4-star Solana Beach resort is a perfect choice for East Coast holidays in stunning Mauritius. 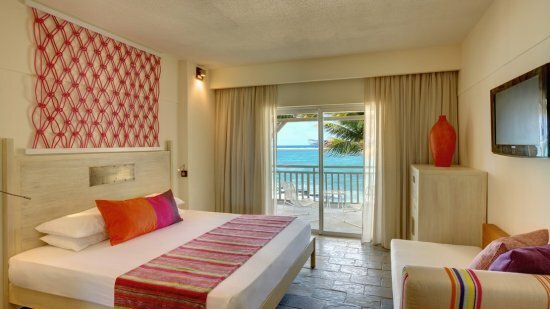 Awash with signature colour and promoting a fresh eye-catching design, rooms and suites here along with public spaces promote rest, relaxation and complement the beachfront setting beautifully. Maximum relaxation and serenity is ensured with it being an adults-only resort with an onsite spa. Sports and leisure combine fun and fitness whilst dining and bar venues offer a mouth-watering array of choice in the most picturesque and elegant locations. The Solana Beach enjoys a spectacular location overlooking the Indian Ocean, just a stones throw from the shore. 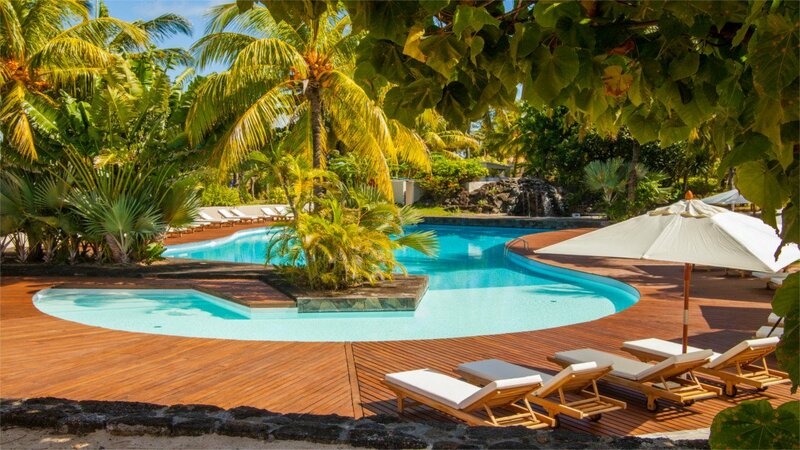 The hotel is located in the idyllic Poste de Flacq area with enough amenities onsite to entertain you during your stay in paradise . The Solana Beach hotel is approximately 65km away from Sir Seewoosagur Ramgoolam International Airport. Slate floors and a contemporary décor blend perfectly with the high-end furnishings, with the four-poster bed being the centre-piece of the room. Wonderful sea views can be enjoyed from the private balcony. Spacious at 57 square metres, deluxe rooms promote a romantic feel with four-poster beds and warm signature tones against touches of cream and wood furnishings. Oozing romance and charm, these elegant junior suites are filled with luxuries to magnify the already spectacular look and feel and boast the choice of connecting options with superior rooms. 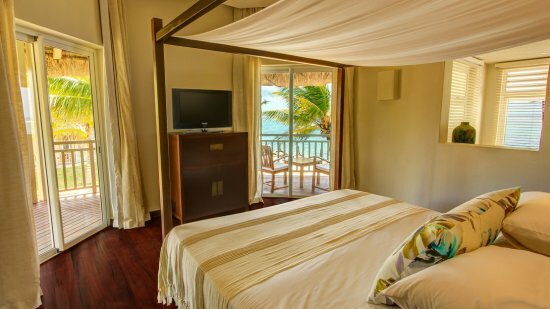 Enjoy the unobstructed views of the dazzling Indian Ocean from the large private balcony. A sensory experience awaits guests of Solana Beach Resort with colour, sound and taste engaging the eager audience. From creative cocktails to innovative cuisine, the world is your oyster. Mauritian and International flavours combine to provide a wealth of exceptional dishes. Elegant and inviting is the setting of Pomelo. Serving a la carte cuisine, this is a must-do for food enthusiasts. Blending a modern concept with traditional-style dishes, this adults-only restaurant is a chic venue perfect for sampling creative cuisine in a romantic ambience. Two bars, Coco and Indigo serve guests requirements perfectly in fabulously exotic settings. From sundowners to cognac, fine wine to coconut water, there is something to refresh everyone, in spirit and flavour!